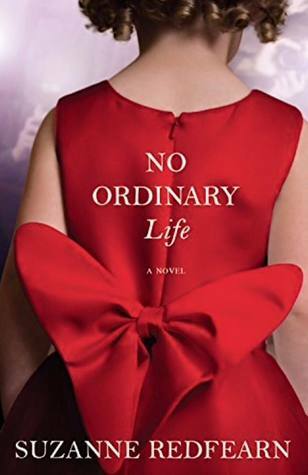 Goodreads: Suzanne Redfearn delivers another gripping page-turner in her latest novel, a story about a young mother's fight to protect her children from the dangerous world of Hollywood. Faye Martin never expected her husband to abandon her and her three children . . . or that she'd have to struggle every day to make ends meet. So when her four-year-old daughter is discovered through a YouTube video and offered a starring role on a television series, it seems like her prayers have been answered. But when the reality of their new life settles in, Faye realizes that fame and fortune don't come without a price. And in a world where everyone is an actor and every move is scrutinized by millions, it's impossible to know who to trust, and Faye finds herself utterly alone in her struggle to save her family. Kritters Thoughts: Have you ever wondered life for a child actor was like? Have you also wondered how it impacted the other members in the family - the parents, siblings and so on? If so, go pick up this book now! It may be a fictional tale, but it felt just too real. Molly is a four year old who through the magic of YouTube gets discovered by a talent agent and then gets a part on the number one hit tv show and life should be perfect. But life isn't perfect and there are some realities about being famous that maybe people just don't think of. I always love a good behind the scenes book that makes me feel like I am getting insider knowledge and seeing behind the curtain. I loved that life wasn't perfect after they found fame and that each of them had to learn to live with this new life both the good and the bad. This book was more than a family saga book with the added twist of fame, fortune and the glitz of Hollywood. I own Suzanne Redfearn's previous book and after reading this one, I am excited to pull it off my shelf to read it! Disclosure of Material Connection: I received one copy of this book free of charge from Suzy PR. I was not required to write a positive review in exchange for receipt of the book; rather, the opinions expressed in this review are my own.